Sony Ericsson Xperia Arc S, one of the bigger announcements by the company as its slim handset simplified with ability to take 3D panoramic pictures using a standard 2D camera with a Reality Display and the ability to convert 2D images into 3D. 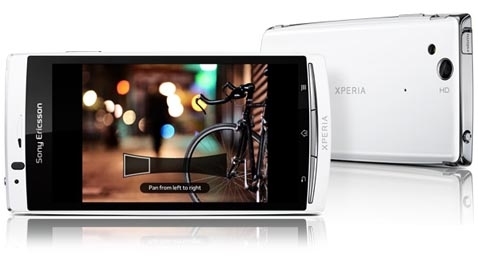 The 4.2-inch phone that sports a 1.4GHz processor & an 8.1 megapixel camera runs Google's latest Android 2.3.2 version operating system, come in 5 colours; white, blue, silver, black and pink, expected to go on sale next month. Any 3D images are viewed by connecting the phone to a 3D TV using the HDMI output. 25 % faster than Arc, its predecessor.